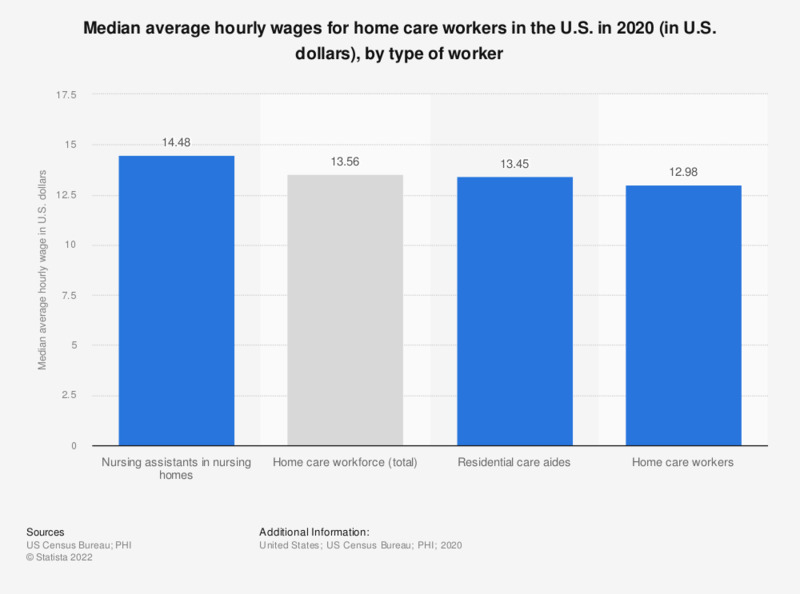 This statistic presents the median average hourly wage for home care workers in the United States in 2007 and 2017. In 2007, personal care aides made a median average hourly wage of 9.97 U.S. dollars, this increased to 10.92 dollars by 2017. Wages have been adjusted for inflation.